I hate it when I don’t understand a game’s title, mostly because it ends up being my only idea for a review opener. With no dialogue and little text, Mugsters never specifies just what is a “mugster”. My best guess is it’s the alien race you’re fighting against, but the word sounds less like a made-up species and more like a made-up portmanteau. The most obvious word combo would be “mug monsters,” and while that does sound cool, that doesn’t make sense in context. Aliens are stealing from humans… so could you say they are mugsters because they “mug hipsters”? Maybe it refers to the player characters, who solve their problems with vehicles… “muffler gangsters”? I’ve spent way too much time thinking about this; maybe I should just get on with the review before this gets any more pathetic. 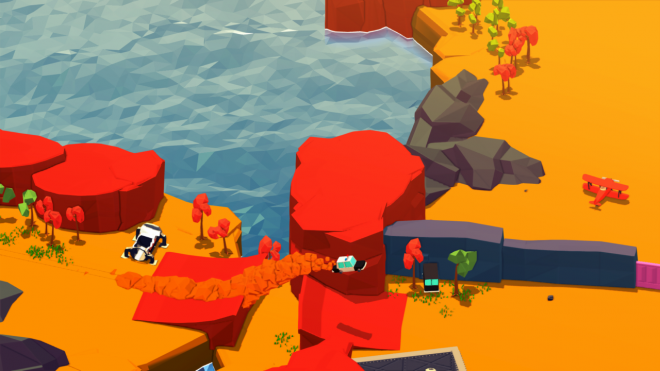 Gearhead – Every level in Mugsters has the same setup – you’re on a deserted island, find a way off. Usually, this involves taking off in a plane, but getting to your escape vehicle is the real puzzle. 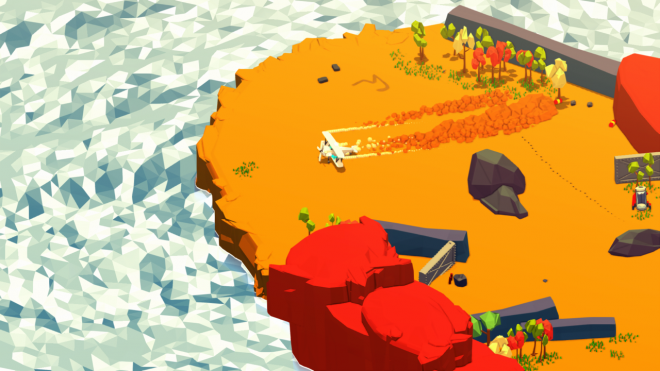 Each island is an open sandbox, filled with obstacles and the tools to overcome them. Most of these tools are vehicles, and a huge variety of them to boot. While by no means a proper racer, you’ll notice a certain amount of depth to the vehicles despite their arcade-y controls. Every ride feels different, whether it be due to speed or handling or weight, and will even get noticeably harder to control the more its damaged. Variety is not only a matter of size, ranging from zippy convertibles to cumbersome buses but also utility. You’ll come across bulldozers which are great for destruction; scissor lifts for easy platforming and giant farming equipment for tilling aliens into the dirt. Getting behind the wheel of a new ride is always a thrill, even if it accidentally ends up in the ocean a few seconds later. Driving test – The beauty of these driving mechanics are not just that they’re fun, but the levels are cleverly built for them. 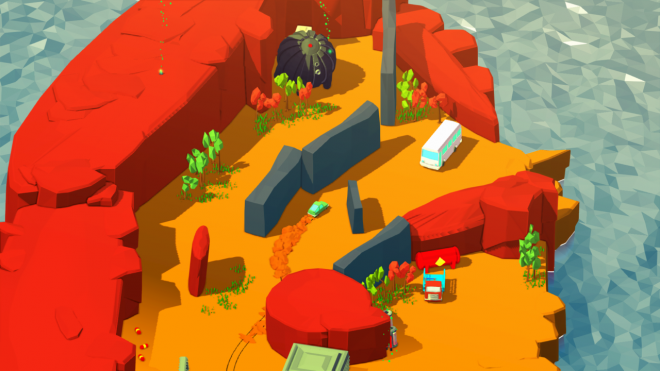 The game favors smart use of vehicles over skill or speed, placing them around open-ended puzzles for the player to use them as they see fit. While there will be times where there’s a clearly intended solution, with a little ingenuity you can tackle any puzzle however you want. Crashing through a wall on an enemy base sounds like fun, but maybe a stealthier approach will be safer. If a car won’t cut it, going on foot is always a valid option; your character can run, jump, punch and throw small objects including explosive barrels. Being a human may make you slow and vulnerable, but being small and agile opens up new opportunities. The game only gets more complex as you go, with the opposing alien forces constantly getting more devious and deadly, giving you more variables to save the world however you want. Off-roading – The final piece that makes this whole concept work is the physics, which elevates the sense of chaos. For instance, the most common obstacle is the breakable wall, which satisfyingly crumbles when you plow a car through them. If you don’t have a car, you can find explosive barrels and chuck them like grenades for similar results. 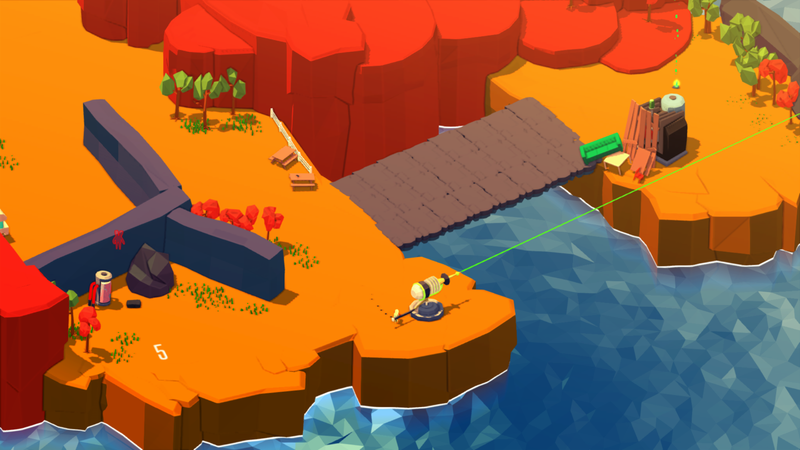 Explosions in this game are incredibly powerful, violently throwing everything in its blast radius (including you) across all parts of the island. The enemy can destroy the world just as much as you, like their giant spherical spaceships that tear through anything standing in their way like it was nothing. There are just enough variables going on to make levels feel lively and unpredictable. My experiences have run the gambit from hilarious accidents (like being run over by my own car) to unbelievably lucky happenstance (like being propelled to safety by a rogue explosive). Stop and go – Mugsters doesn’t hand out new levels easily. You begin with only the first few islands unlocked, and you can progress through them just fine, but eventually, you’re greeted with a lock on the next area. Just completing islands means nothing; from the get-go making progress requires completing the seemingly “optional” objectives in every level. The exact requirements are frustratingly never laid out, but it seems perfecting the majority of what’s already unlocked is pretty much key to getting to the next island. Every level has three objectives that fall into the same categories. First, you’ll have to destroy or tamper with alien technology; these objectives are the most fun and fitting, although a few of the more robust situations are prone to glitches. Second, you need to collect gems; it’s your standard somewhat lazy collectible fare, but nothing to worry about. Last but not least is the most frustrating objective in the game: save captive humans. It’s not just a matter of freeing them from their cages; you need to guide them to the exit and will only leave when you do. The AI is prone to get stuck on geometry and prioritizing being beside you over their own safety. An unpredictable and hostile physics-based sandbox is no place for these weak NPCs, who often become victims of tragic accidents. If all these objectives were just side content, it’d be fine, but making them required for the most basic progression devalues the entire experience. The main puzzles are fun and varied, but solving them amounts to absolutely nothing. Players instead have to prioritize finishing tedious, time-consuming objectives over the parts of the game that are actually enjoyable, completely removing the satisfaction of escaping an island. Help wanted – Mugsters is playable with one or two players. The game is basically the same either way, but going alone is the vastly inferior way to play. Not only does having a partner open up opportunities for fun shenanigans, but co-op’s superior respawn system completely changes the game. In solo mode, a death sends you back to the beginning of the level and resets pretty much everything; in co-op, this only happens if both players die. If only one dies, so long as the other lives, play continues as normal, and the deceased will return after a short cooldown. 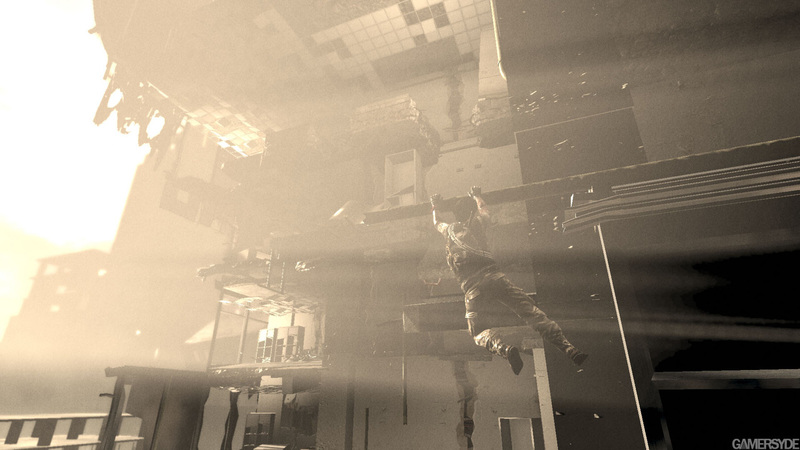 Even without the comparison, single player feels too restrictive, leaving less incentive to attempt crazy stunts or dangerous experiments because due to the greater consequences. Solo and co-op are separate campaigns with their own progression, despite being exactly the same save for some minor tweaks to encourage teamwork. I wish it weren’t handled that way, because as it is, there’s really no reason to play them both. Ant men – I can’t deny that the decision to use an extremely pulled-back camera was a smart choice for this game: it lets you see a ton of the isometric landscape so you’ll always be able to navigate while driving. You can’t zoom in or out but can rotate the camera around the play area to get a better view. It works well for controlling vehicles, but as a result, you’re incredibly tiny on foot. The developer was obviously aware of this, giving the characters over-exaggerated animations that can easily be read at a distance. Still, it can be pretty hard to parse what smaller objects are supposed to be or even find yourself standing still in a scene. 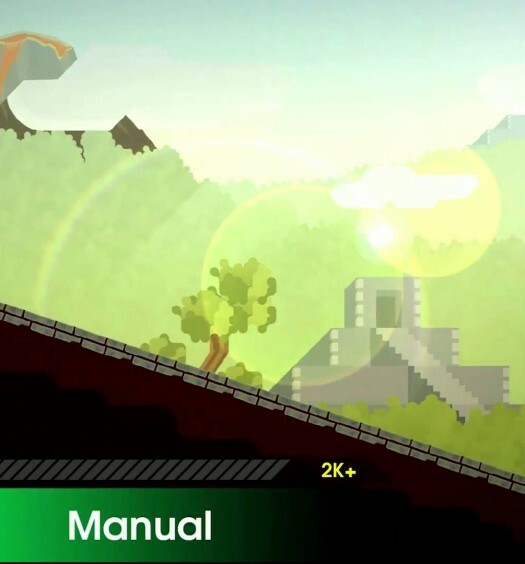 In an early level, there’s a switch right off the main path that opens a gate; I played the level three times before finding it, instead spending several minutes trying to climb over the adjacent rocks. Menus and objective overlays are easily the hardest to parse, printed in pure white over bright colors with a compact font. When I first got my hands on Mugsters, I was certain it would be something I’d love, mixing wacky physics-based hijinks with high-octane puzzle solving like some sort of indie Just Cause. I know that experience is in there somewhere, buried under the doldrums of tiresome repetition and eye strain. There’s still some fun to be had if you look hard enough, which is fitting for a game where everything is almost too small to see. Mugsters was developed by Reinkout Games and published by Team17. It was released July 17, 2018, for $14.99. A copy was provided for review purposes.